[Playing a musical instrument, being part of an orchestra, or performing live can be an elevating experience. It’s a skill you can use and enjoy your whole life. With dedication, talent and skill, it can it become a career. Professional musicians listen to and play music for hours each day, every day. It’s important to remember that consistent exposure loud noise of any type—even music—can damage your ears over time. For musicians, high noise levels during rehearsals and performances can subject them to excessive noise exposure, which could lead to irreversible noise-induced hearing loss (NIHL) and a ringing or buzzing in your ears, called tinnitus [pronounced tin-NYE-tus or TIN-ni-tus]. As an occupational hazard, the issue of noise has become a priority across sectors such as construction and food manufacturing. However, professional musicians suffer at a very high rate. The Control of Noise at Work Regulations 2005 came into force for all industry sectors in Great Britain in April 2006, followed by the music and entertainment sectors in April 2008. Almost any musical instrument can harm your hearing, if played loud enough over a long period of time. Whether it be a piccolo or a giant guitar amp, your ears could suffer damage. Violins at peak volume can reach 103 decibels —noisier than many power tools! The long-term nature of noise exposure, which involves a combination of both noise level and exposure time, can accumulate and cause hearing impairment over the course of a working lifetime. Some people won’t notice the effects of hearing loss until retirement, but some notice it sooner. Many musicians are reluctant to protect their hearing, thinking that they are exempt from this. The biggest problem with the condition is that once it occurs, the damage is permanent. 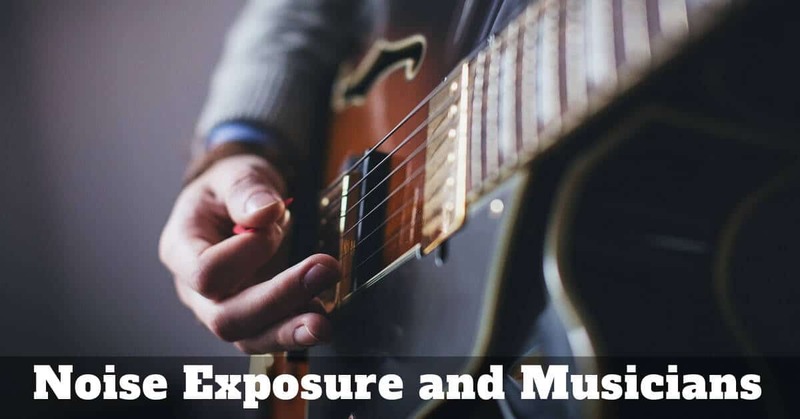 A survey run by Help Musicians UK in 2015 showed that 78% of people who suffered from hearing problems in their career believed that being a musician was the cause. Unfortunately, 68% of musicians hadn’t had a hearing test in the last three years. When asked about their experience with hearing protection, while 81% of people believed they should use it – but only 67% had actually ever used any. A landmark legal case at the Royal Opera House in March of 2018 is sending shockwaves across the industry. The legal action involved a UK High Court judge ruling that a viola player, who was forced to give up his music career after developing acoustic shock and irreparable hearing damage from sitting in the line of fire of the brass section, could sue his employer. This case established the first legal precedent around the condition in the UK. It deeply effects the culture of an industry that has considered itself exempt from the same regulatory requirements as all other sectors because of the artistic nature of its output. What’s the answer to NIHL? Education has a part to play in raising awareness. Musicians can do many things to protect their hearing. Sound travels in a straight line, so the sound is louder when someone stands directly in front of or behind a speaker. Professional musicians should take precautions to stand to the side of a speaker, or to angle the speakers away from them. Musicians also take breaks between sets of music or while practicing to give their ears a rest. It is helpful to wear earplugs that are specially designed for people who play music. Musicians’ earplugs let a person hear all of the music, but at a lower sound level. Noise exposure measurements using hand-held sound level meters or personal noise dosimeters will provide useful data as part of a risk assessment. In addition, regular hearing tests would be advisable to check the effectiveness of the controls for overexposure to noise. If you are a musician, you depend on their hearing for employment. It is important to take precautions to protect it. If years of negligence build up, it can impact not just your ears but your career and even more, other aspects of your health. Ultimately, noise-induced hearing loss can be avoidable. With care and diligence, you can make sure you can hear and enjoy the music you make for years to come. At Gulf Gate Hearing Aid Center, we provide comprehensive hearing health services, including custom ear protection for musicians. Contact us to learn more about how you can protect your hearing from damaging exposure to noise.